Enter a work or project which will be reviewed by top, international art curators and critics, and promoted worldwide. 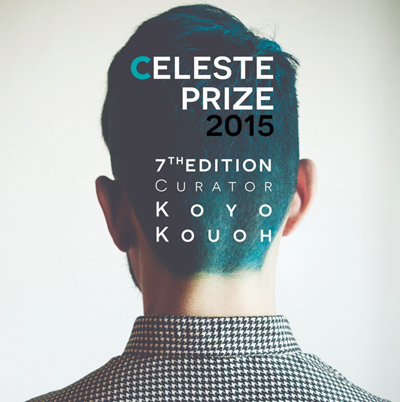 Celeste Prize is an international contemporary art prize open to all artists, photographers and creatives, without limits of age or experience. Works should contain an exciting and profound mix of contemporary perspectives and a creative use of artistic languages. The deadline to enter is 15th July 2015. PRIZE DETAILS: Project Prize 4,000 € Photography & Digital Graphics Prize 4,000 € Not eligible to enter? - Find contest where you are. COPYRIGHT: All works appearing onsite and in print remain copyright and property of the artists who created them or the works’ legal owners. USAGE RIGHTS: Those persons who upload text, images, or videos onto the prize website, and/or those persons who upload on behalf of participating artists, are personally responsible for the texts and for the visual content of the uploaded images. The Organizer reserves the right to remove any defamatory images or texts, he considers defamatory, unless these are motivated in writing by the artist.